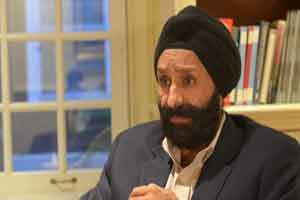 Fortis Healthcare has announced the reappointment of Bhavdeep Singh as the CEO of the company. Bhuvdeep’s appointment comes after his previous innings as the CEO of Fortis between 2009 and 2011. The management has clearly cited the continuity factor, and Bhavdeep’s deep understanding of the healthcare space as main reasons for his reappointment at the helm of the company’s affairs. In November last year, after Aditya Vij stepped down as the company’s CEO, Executive Vice Chairman Shivinder Mohan Singh had assumed additional responsibility for the company’s operations while the search for a new CEO was on. The Singh brothers further said, he is on familiar ground and has a deep understanding of the healthcare space, first-hand knowledge of Fortis, it’s culture and strategy. Prior to this appointment, Bhavdeep was most recently with Ahold, an $26 billion Dutch retailer with almost 800 stores. “His deep experience in India and overseas in the retail and services sector will be particularly valuable as we relentlessly pursue our vision to create a world-class integrated healthcare delivery system, with a focus on India,” they said.